Can Melody and Music Awaken Our True Nature? Regardless of how much music we’ve been exposed to throughout our lives, we’ve definitely been impacted by what we’ve heard. 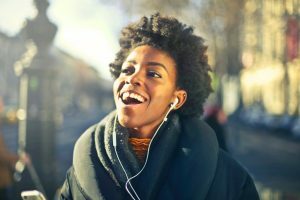 Whether listening to it intentionally—by attending a concert or listening to music on your headphones, for example—or unintentionally, while buying groceries, waiting in line somewhere or getting your teeth cleaned—you’re exposed to it, your brain is processing and internalizing it, and you can’t do much about it. Our subconscious mind does remarkable things and the younger we are, the more vulnerable we are to the tones, rhythms and messages in music. Music is extremely diverse and multi-faceted in its influence, and in this three-part series I hope to uncover the profound effects it can have on our brains, bodies and spirits. I’ve been hypersensitive to melody my whole life—not an official diagnosis by any means, but more of a feeling. From a young age I was drawn to notes and sounds, as they brought me joy and comfort, engaged me in a community, and helped me further develop my speaking, reading and rhythmic skills. As infants we are pre-wired to learn the language of musical melody, and research has proven that music can positively impact relationships, cognitive development, motor function, and language skills. The art of music is divine and effective. It is the food of the soul and spirit. Through the power and charm of music the spirit of man is uplifted. It has wonderful sway and effect in the hearts of children, for their hearts are pure, and melodies have great influence in them. The latent talents with which the hearts of these children are endowed will find expression through the medium of music. Therefore, you must exert yourselves to make them proficient; teach them to sing with excellence and effect. It is incumbent upon each child to know something of music, for without knowledge of this art the melodies of instrument and voice cannot be rightly enjoyed. Likewise, it is necessary that the schools teach it in order that the souls and hearts of the pupils may become vivified and exhilarated and their lives be brightened with enjoyment. – Abdu’l-Baha, The Promulgation of Universal Peace, p. 52. 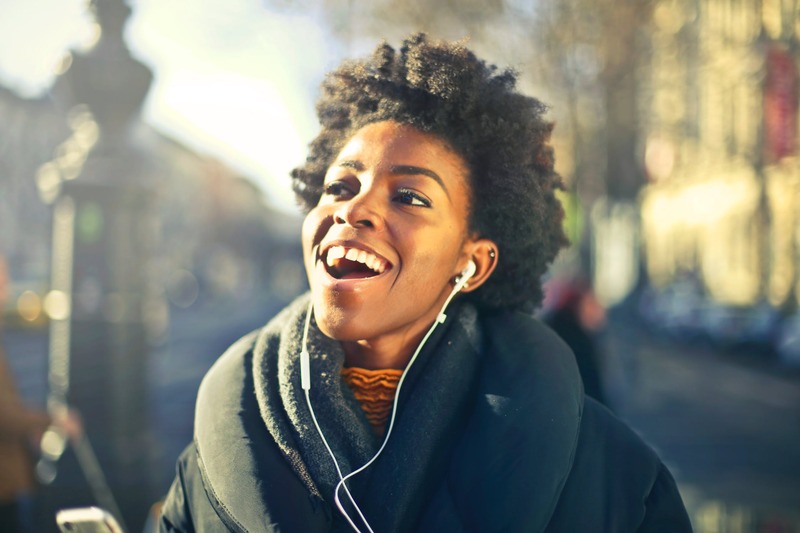 As adults, we’ve learned through several studies that simply listening to melodies can help us develop empathy; can cause our mood to relax or pick up; can contribute to our happiness and productivity; and can adjust our attitude, lower our heart rates, and stimulate the areas of our brains associated with memory, auditory function, motor skills, and visual abilities. With whatever purpose you listen to music, that purpose will be increased. For instance: there will be a concert given for the poor and unfortunate, and if you go there thinking of the aim, the music will increase your compassion and generosity. This is the reason why music is used in war. And so it is with all the things that cause the excitation of the nerves. – Abdu’l-Baha, quoted by Mary L. Lucas in A Brief Account of My Visit to Acca, pp. 11-14. In short: melodies, though they are material, are connected with the spiritual, therefore, they produce a great effect. A certain kind of melody makes the spirit happy, another kind makes it sad, another excites it to action. All these feelings can be caused by voice and music, for through the nerves it moves and stirs the spirit. – Abdu’l-Baha, Ibid., pp. 11-14. Researchers at the Tokyo University of the Arts have actually tested the idea that pre-existing emotions such as joy and sadness can be experienced and further enhanced by listening to particular melodies. Some people believe that we often consider musically evoked emotion as vicarious reactions because we are not threatened when we experience them, but these researchers found that the human response to “sad music” suggests otherwise: pining or weeping at the sound of sad melodies is actually a physical reaction to the astounding range of ambivalent emotions we are experiencing. In fact, the same research revealed that “listening to sad music actually induced participants to feel more romantic, blither, and less tragic” and that these more undefinable emotions, could translate to feelings of pleasure. – “Sad music induces pleasant emotion,” Frontiers in Psychology, 13 June 2013. 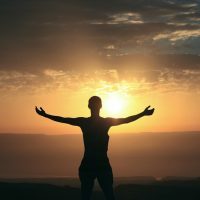 In the world of existence physical things have a connection with spiritual realities. 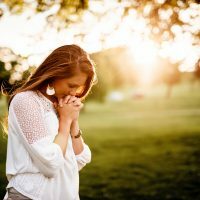 One of these things is the voice, which connects itself with the spirit; and the spirit can be uplifted by this means—for though it is a physical thing, it is one of the material, natural organizations—therefore, it is effective. All forms when understood aright gladden the spirit. Melodies are like water. The voice is like a goblet. The pure water in a pure glass is pleasing. Therefore, it is acceptable. But even though the water be pure, if it be in a goblet which is not so, this receptacle will make it unacceptable. Therefore, a faulty voice even though the music be good, is unpleasing. In short: melodies, though they are material, are connected with the spiritual, therefore, they produce a great effect. A certain kind of melody makes the spirit happy, another kind makes it sad, another excites it to action. All these feelings can be caused by voice and music, for through the nerves it moves and stirs the spirit. – Abdu’l-Baha, quoted in A Compilation on Music. In the next segment of this series, we’ll further explore how melody affects us, and how it is enhanced by the words and messaging of the music we listen to. We will also explore the human brain’s response to subliminal messages in lyrics, and what science has to say about our subtle susceptibilities.